Paul Brady & Co., Solicitors are a full-service Navan-based law firm founded in 1986. Our practice covers the full range of legal services including Accident Claims / Litigation, Property, Wills, Estate & Tax Planning, Family Law, Employment Law, Company & Commercial, all Courts work, Debt Recovery and Licensing. The team at Paul Brady & Co. pride themselves on providing expert and professional legal advice across all our practice areas. Of equal importance is our ability to listen and understand the very real concerns of our clients. Paul Brady is a Graduate of Law from University College Dublin and qualified as a Solicitor in the Republic of Ireland in 1978. Paul worked initially with another Firm of Solicitors in the Navan area from 1977 up to 1986 when he opened his own Practice and has been principal of the Firm since then. Paul has extensive experience in the areas of Conveyancing, both Commercial and Domestic, Litigation, including Personal Injuries Litigation, Family Law, Debt Recovery, Probate, and all other areas of law covered by the Firm, but specialises in the area of Commercial Conveyancing, Personal Injuries Litigation and Family Law Litigation. Paul is an experienced Commercial Litigator and has appeared in all Courts including the Commercial Court in Ireland on behalf of both Plaintiffs and Defendants. 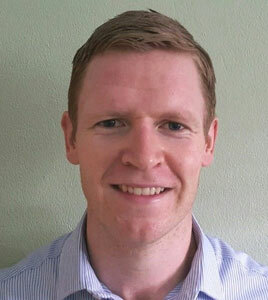 Conor qualified as a Solicitor and was admitted to the Role of Solicitors in January 2014. 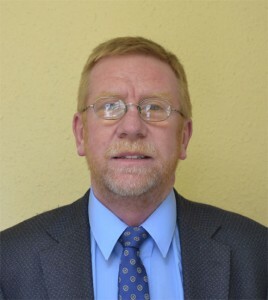 His qualifications include a Bachelor of Business Studies from Dublin City University and a Postgraduate Diploma in Law from Dublin Institute of Technology. Conor has worked in the practice for 6 years having carried out his traineeship with us and in that time has gained extensive knowledge in the various areas of Property Law including both residential and commercial conveyancing and commercial leasing. He also has experience in Debt Recovery, Probate and various commercial law matters. Conor also spent time seconded to the Legal Department in IBRC where he dealt with the legal aspects in various banking, receivership and conveyancing transactions and gained specialist knowledge in transactions involving NAMA. Conor recently spent 3 years working in the Cayman Islands, focused on the areas of litigation, insolvency and restructuring, gaining a wealth of knowledge in various cross-border transactions. Deborah qualified and was admitted to the Role of Solicitors in February 2006. Her qualifications include a Bachelor of Law degree from University College Dublin and a Diploma in Employment Law from the Law Society of Ireland. Deborah is also a qualified accredited mediator and now trains candidates in mediation in her spare time. 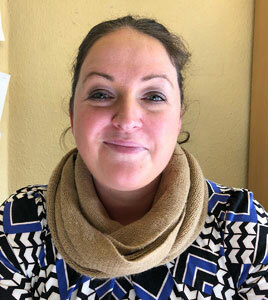 Deborah has worked in private practice for almost eight years specialising in property and probate matters and more recently as an in- house solicitor with the Bank of Ireland group before joining Paul Brady & Co in January 2018. Whilst with Bank of Ireland Deborah gained immense experience rectifying difficult property titles, advising asset managers in property disposals and advising receivers and property agents in respect of various property, planning and taxation matters. Deborah has a keen interest in banking law, debt collection and probate.